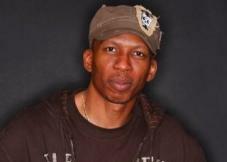 In case you were wondering if anyone from the urban/electronic music community would be at our upcoming DC Policy Day, no worries — production legend and FMC advisory board member Hank Shocklee will be ready to represent in Washington on Wednesday, February 11. On July 17, 2008, Pitchfork and Future of Music Coalition co-presented a panel discussion about Public Enemy’s It Takes a Nation of Millions to Hold Us Back, as part of Chicago’s Pitchfork Music Festival. As expected when you put front man Chuck D, PE Media Assassin Harry Allen and original Bomb Squad members Hank and Keith Shocklee around a table, the back-and-forth was incredibly entertaining and informative. Future of Music Coalition and Pitchfork Music Festival Present: "It Takes a Nation of Millions to Hold Us Back"
Public Enemy Panel in Chicago ? Now With Chuck D! We just received exciting news that Chuck D — mouthpiece for legendary hip-hop act Public Enemy, will be appearing at FMC and Pitchfork’s “It Takes a Nation of Millions to Hold Us Back” talk at the Cultural Center on Thursday, July 17. 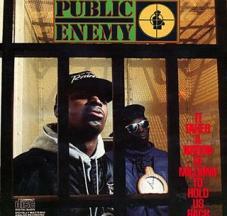 FMC, Pitchfork and Public Enemy!